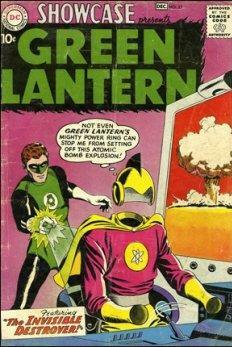 It's amazing to me to see how the art of comic books has changed in the last century. From the very earliest comic books first published in the United States in the early 1930s, which were simply reprints of comic strips from the newspaper, to today's incredible graphic novels, comic book art has a rich history of talented writers and artists and a huge library of subject matter. True comic book aficionados will argue forever over dates, specific characters and story lines, but my interest lies simply in the beauty and changing character of the visuals. Even today I can spend hours looking over the rich graphics, brilliant colors and elegant inking techniques, and I admit my own style of art was heavily influenced by the linear style of comic book lines and shading of the comic books of the late sixties. I'm also fascinated how the styles and story lines change with each decade or era, reflecting the culture and society of each respective age. 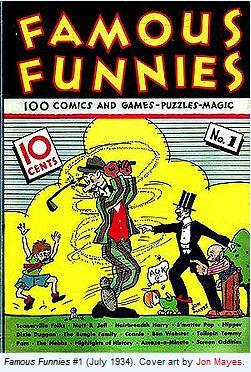 Famous Funnies is considered the very first modern style comic book, published in 1934, though there were a few prototypes published as early as the middle 1800s (The Adventures of Obadiah Oldbuck in 1842) and the early 1900s ( The Yellow Kid in McFadden's Flats, 1897, the first known full-color comic (The Blackberries, 1901) where the term "comic book" was first coined. 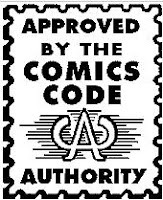 There are categories of comic books that most fans adhere to: The Proto-comic books and the Platinum Age, Golden Age, Silver Age, Bronze Age, Modern Age. It is generally agreed that the first Superman Comic Book ushered in the Golden Age where comic books became the mainstream reading material of American youth.The Age before Superman was the Platinum Era and the Silver Age of Comic Books in the mid 1950s to the mid 1970s was the revival of the superhero to the pages of panels and word balloons. The very first Action Comics and the first appearance of Superman. The Bronze and Modern (Iron) ages brought us Spiderman, Green Lantern, The Fantastic Four and the amazing talents of Stan Lee, among others. 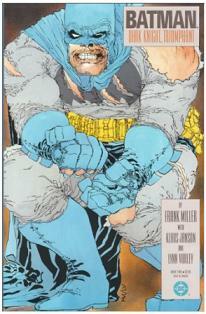 Then in the mid 1980s Batman: The Dark Knight Returns and DC Comics Watchmen ushered in the graphic novels of today's artistic style of comic books. 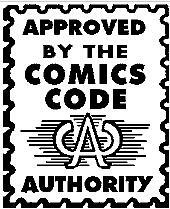 Read more on the History of Comic Books at Wikipedia. 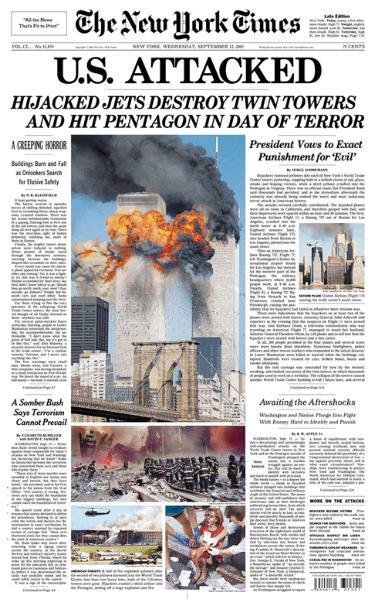 On the tenth anniversary of the terrorist attacks of September 11th, 2001 our country looks back at the most horrific event in our history. We have been at war, we have suffered economic depressions and catastrophic natural events, we have seen beloved leaders assassinated and we have even been attacked on our own soil before at Pearl Harbor*; however, never have we experienced such a devastating, world shaking event as that unprovoked attack on non-military American citizens simply going about their daily lives in their home territory. America and Americans have never been the same since, something in us crumbled to the ground with the Twin Towers, Flight 93 and parts of the Pentagon. In the ten years since the events of 9-11 we have entered into times of fear for our personal safety, fear for our economic security and fear for our future. Fear breeds mistrust, mistrust breeds war and we are a now country at war with itself. Politicians, pundits and self proclaimed experts fill our news with their opposing views, friends and family argue, heated debates ensue and find no common ground on any issue. There is no value in being right, there is no safety in division and there is no profit in winning the debate if the war is lost. We are at a crossroads in our nation and it is time for all sides to compromise. Our leaders must put their silly tea party dishes away, pundits should shove their egos in a dark closet, politicians and citizens alike must stop making speeches and start working together. It is time to remember who we are. We, the people, are all Americans and we are the heart of our nation. No politician can vote our heart away without our permission. No enemy can take our heart unless we give it up. We cannot lose our heart if we stand up to the fear. In this time of remembrance, in this time of great trial, we must look into our heart and draw from it the courage to go on, the forgiveness to move on, the hope to recover, the compassion to care, and the resolve to be vigilant Americans. May our memories of 9/11 serve to unite and mend our country. May we take our resolve and wield it to bring prosperity and peace. Never Forget but Always Remember. *At the time of the bombing of Pearl Harbor, Hawaii was not a state but it was a U.S. Territory. 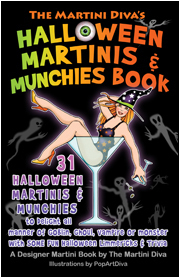 The Halloween Martinis & Munchies Book is For Sale! Wondering How to Put the Boo in Your Booze this Halloween? Need Some Frightfully Fabulous Finger Foods for Your Party? The new cocktail book from The Martini Diva, "The HALLOWEEN MARTINIS & MUNCHIES Book" is a spooktacular, full color happy hour experience with 31 Halloween themed martini recipes, appetizers & trivia. It's a Halloween Happy Hour of Monstrously Marvelous Martinis and Munchies in the Spooky Spirit of Creepy Cocktail Creativity that will put the ghouls in your glass and the spook in your spirits, accompanied by Halloween themed party recipes, trivia and limericks to entertain until the stroke of midnight - or later.